Defence Secretary Gavin Williamson announced that the UK will be opening a Centre of Excellence for Human Security. The Ministry of Defence has allocated £2 million a year to run courses in training troops from around the world to recognise the complexities of gender in conflict. The training will focus on areas such as women and children in armed conflict, human trafficking and sexual exploitation. 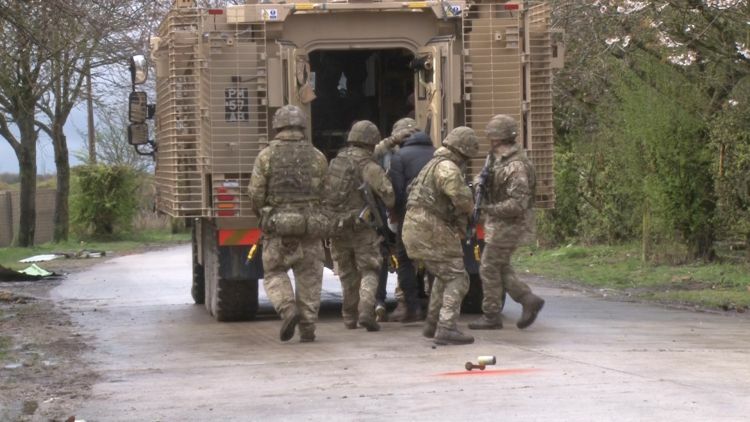 Speaking just after an exercise involving 4 SCOTS on Salisbury Plain, which showed how civilians were protected in a conflict zone, Mr Williamson said that he hopes the new investment will "prevent such heinous crime seen so often in the past". "We have to see this as a crusade, our mission to change not just the attitudes of our allies, but nations right across the world," he said. "Make everyone understand that sexual violence is not something that can be used as a weapon of war." "In modern warfare, there is no ‘front line’ and the sad reality is that innocent bystanders are in harm’s way in conflicts around the world. Protecting civilians from human rights violations is as much a military task as defeating the enemy. “This new Centre of Excellence will build on the amazing work already being done by the UK, from our Human Security courses launched last year to the training we provide peacekeepers on preventing and responding to sexual violence in conflict."